** spoiler alert ** "Curses and foul language!" is now the way I will swear. This book is super cute and filled with zany adventures. What reader doesn't have the characters come to life as she is reading? For Billy, they came to life and stayed that way. Fun to see Robin Hood, Hercules and Pollyanna (among others) interact with each other. This book reminded me of the Time Wrap Trio "Summer Reading is killing me" (spoiler) The book does lose a star for the fantasy of the divorcing parents getting back together. 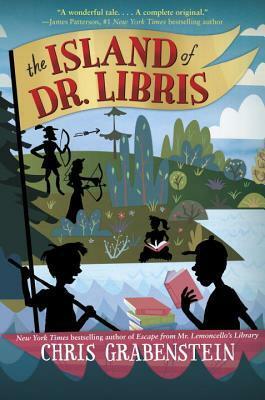 Sign into Goodreads to see if any of your friends have read The Island of Dr. Libris.